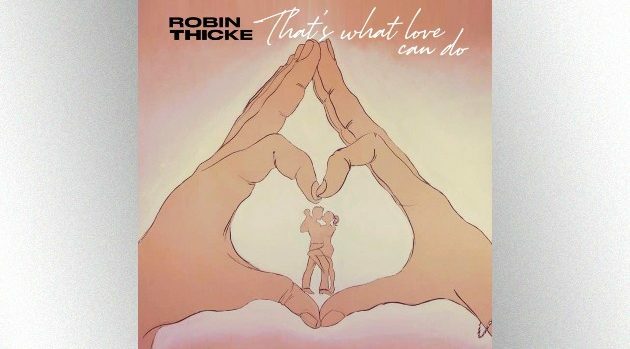 “Turn a boy into a good man/Make a queen feel like a princess….that’s what love can do/It’s not what love will do/That’s what love can do,” he croons. There’s no release date or title yet for the project. Robin recently served as one of the judges on the inexplicably popular reality competition show The Masked Singer, which has been renewed for a second season. T-Pain was unveiled as the winner last month. Last month, Thicke and Geary welcomed their second daughter, Lola Alain Thicke. She joins the couple’s older daughter, Mia Love. Thicke also has an eight-year-old son, Julian, with his ex, Paula Patton.